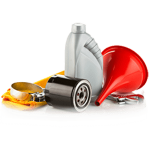 Are you looking for a Quicklube near Poynette WI? Ness Auto Sales and Service is proud to offer the only quick lube near Poynette WI. When it comes to getting an oil change in Poynette WI it’s no secret your options are limited. At Ness we were the first ones in the area to offer a quick lube near Poynette WI. If you’re not looking for a quick lube but would like to drop your car off for an oil change or any other service just call our service department and we’ll schedule you for an appointment and a free loaner car provided at no charge. The proper maintenance of you car or truck in Poynette, WI is crucial for proper, efficient and safe operation of your vehicle. Don’t trust your vehicle to just anyone when it comes to auto repair. Call the pro’s who know at Ness Auto Sales near Poynette WI. We’ve provided auto repair near Poynette WI since 1965. Whether it’s a Chevy, Ford, Chrysler, Kia, Honda, Toyota, or even something a little more complicated like an Audi or Mercedes Benz; we have the qualified technicians to work on your vehicle. Call today and find out why you get more for less at Ness! When it comes to your car there’s nothing that can extend its life more than regular oil changes. There’s also more to an oil change than just changing the oil and filter. We know that many quick lubes offer an oil change that is simply changing the oil and filter… and once you’re there they’ll charge extra for the vehicle inspection and any other needed repairs to your vehicle. At Ness we offer a complimentary inspection with every oil change. We’ll let you know what’s going right with your car and what needs attention now and in the future. As complicated as it is today with vehicles they’ve even made the oil change more complicated. From oil life resets to the various different types of oils used in today’s vehicles. Since we service so many different brands of vehicles rest assured that we have the correct oil for your vehicle. From the dexos spec oil on GM Vehicles to the Mobil 1 oil for Mercedes Benz. We can make your quick lube near Poynette WI easy. Call today or stop in for an oil change.